Sometimes romantic, rebellious, or reflective, there is one thing Billy Currington always is, and that is Southern. Growing up in Rincon, Georgia this southern lad has lived the life he sings about. 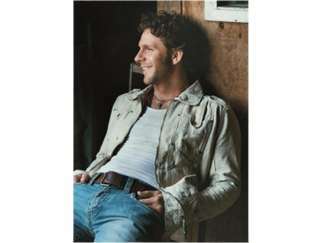 Bursting into the scene in 2003 Currington's single 'Walk a Little Straighter' hit Top 10 charts. This single was quickly followed by his duet with Shania Twain 'Party for Two;' which the duo performed the song at the 2004 Country Music Association Awards.